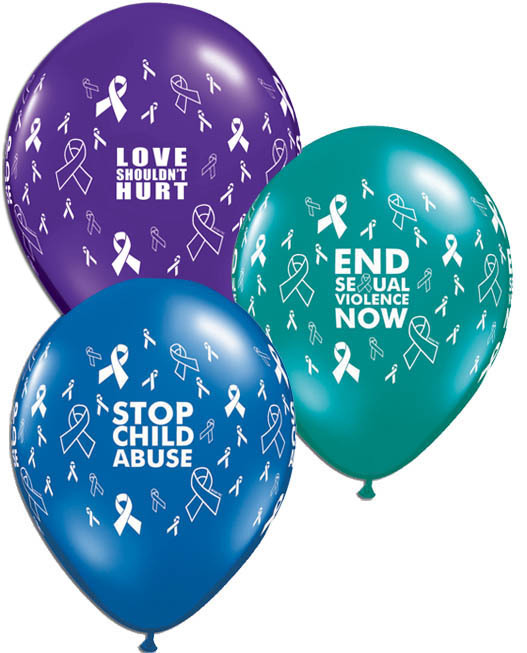 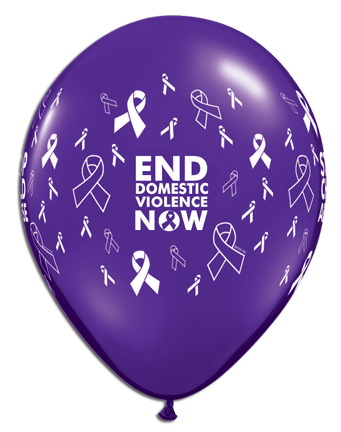 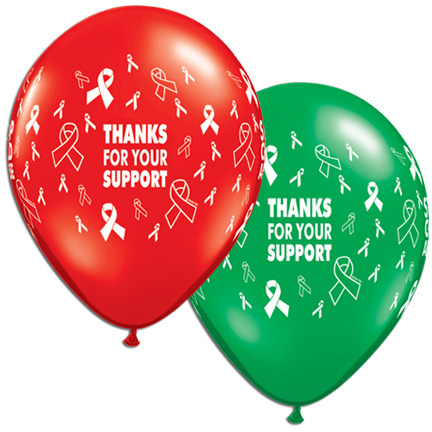 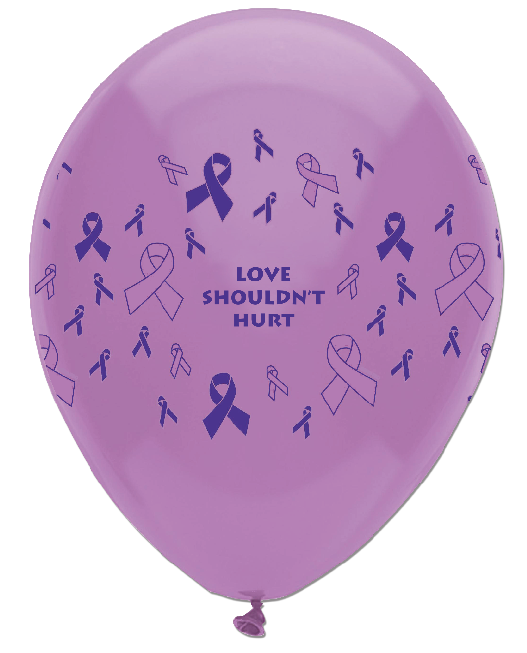 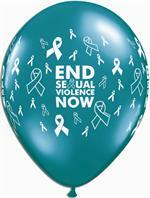 DISCONTINUED *LIGHT PURPLE* "LOVE SHOULDN'T HURT"
Stock Awareness Balloons are balloons are 11" and imprinted as shown. 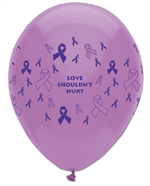 Purple "End Domestic Violence Now"
Teal "End Sexual Violence Now"
Dark Purple "Love Shouldn't Hurt"
"Thanks for Your Support" available in assorted colors only: Purple, green, blue, red and yellow. Standard production time is 3-5 days.